This brand new calf leather document case is a distinguished way to organise papers and work essentials. 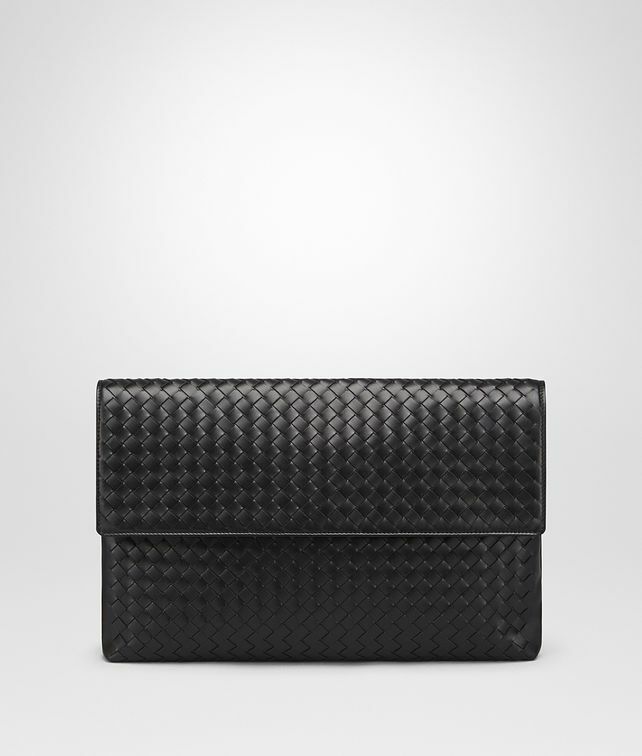 The distinctive hand-woven front panel with fold-over flap ensures polish and resiliance. The silhouette is slim and well-organised, with two external pockets, one under the front flap and the other on the smooth back panel. The expandable snap-fastening sides also give the option of additional space. Cotton-lined interior with two additional flat pockets.